Since ancient times olive oil has been known for its role in the cuisine – as the source of the only unrefined vegetal fat, as an enhancer of tastes and as the double bass of the dish (if you allow us the jazz analogy), let alone its health benefits – the unsaturated fatty acids, the biophenols, the vitamin E and its anti-inflammatory properties. But we use it because it tastes good, and that is the bit that we will explain here. The extra virgin olive oil has three main characteristics: the aroma, the bitterness and the pungency. Like wine, different varieties, terroirs and vintages will produce oils of different tastes that one can match with different foods depending on their complementarity – or one’s personal taste. Be it a grilled steak, venison, fish or, why not, an ice cream – here you will certainly find the oil that matches your taste. We have been very fortunate to inherit these great local varieties and to have the chance to grow and translate them into this wonderful product that is presented to you. Having developed a close relationship with these trees, it becomes literally an obligation to do right by them and make sure that they become known for the world’s finest olive oil they produce. 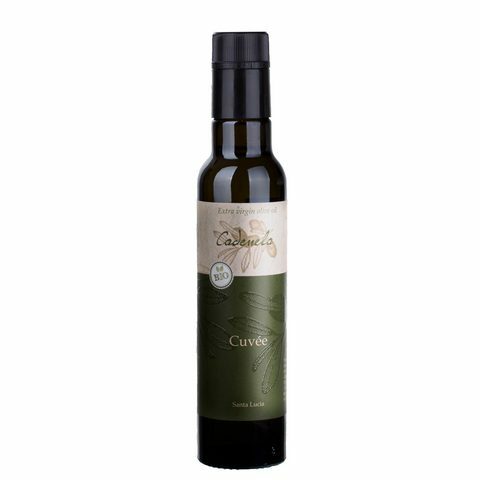 For our Cuvee' extra virgin olive oil we generally tend to make a rounded blend that will be able to stand its ground in most situations it will come to encounter. In addition to the above three varieties, it contains Leccino, Pendolino, Leccio del Corno and Carbonazza (a local variety not mentioned before). However, its versatility doesn't end here: should you wish so, we can take it in different directions and emphasize the one specific characteristic that appeals to your taste – drop us an email or come visit us, and we'll try to custom blend the perfect mix! Our mild and sweet oil, especially blended for our younger ones! 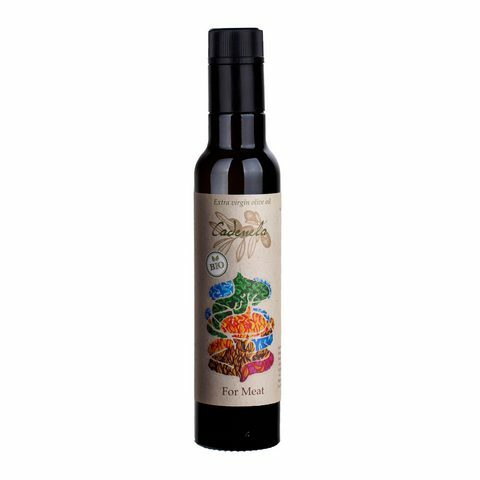 Made with varieties low on bitterness, this oil is perfect for any delicate dish like fish, sweet vegetables, vanilla icecreams. This oil is the best companion for your steaks, game, or any meat of your choice. Quite spicy but low on bitterness, exclusively made with the fruits of our Bianchera variety trees.